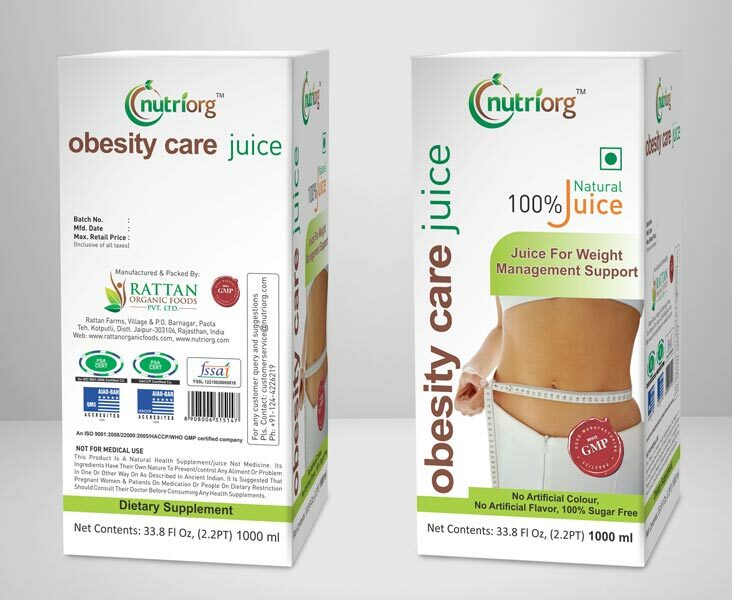 Obesity Care Juice is a unique combination of herbs and ingredients. 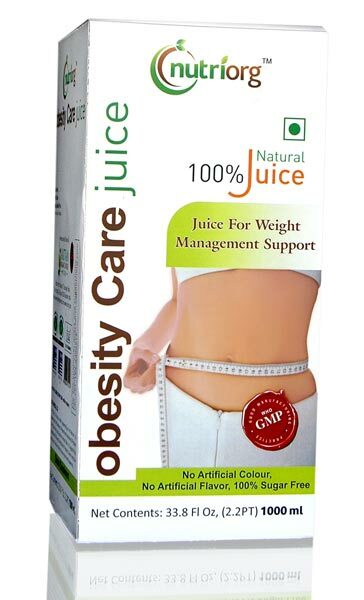 The main ingredients in the juice are green tea, garcinia, commniferra mukul, amla and aloevera juice. Nature has blessed us with a balanced and healthy body but due to our unhealthy eating habits and lifestyle we are losing its beauty which leads to obesity. Obesity is generally caused by eating too much and moving too little. If we consume high amount of energy from our diet particularly from and sugar but do not burn off the energy through exercise and physical activity, much of the surplus energy is then stored by the body as fat. This in turn is deposited on various parts of human body specially (hips ,abdomen, thighs etc) Obesity along with it gives way to many diseases like diabetics, high b.p, heart problems, arthritis, joint pain etc which are rapidly increasing in today's society. Green Tea : Green tea is been used for about 4000yrs all over the world. It has vitamin C and vitamin E which helps in reducing cholesterol and weight. Garcinia: It is also called as imported tamarind which helps in breaking down deposited fat and aids in digestion. Commniferra Mukul: This is one of the oldest herb in ayurveda which helps to give relief in joint pain and cholesterol. Gurmar: It helps in controlling blood sugar and helps in suppressing urge to eat sweets. Benefits : It helps in reducing fat and related problems in the body and makes body fit and healthy. It prevents fat deposition, helps in digestion, constipation and lever function. It helps in weight loss, and provides essential nutrients to the body. It detoxifies complete body and rejunovates the muscular system. 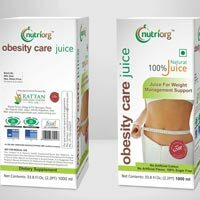 Quantity to Be Used :20-30 ml of Obesity Care juice twice a day is recommended to avail all benefits.